As we head toward the long and glorious summer break, it’s time for you and your child to congratulate yourselves on a year of hard work. Simple ways to simple steps to reduce stress for kids of the holidays and make it a healthy nurturing environment. Whether you’re heading off somewhere sunny or taking the opportunity to relax at home, the summer break is eagerly anticipated by parents and children alike but, the end of the school year can bring with it an amount of stress too. Many of us find ourselves trapped in the cycle of over-scheduling meaning that our weeks are one long whirlwind of lessons and after-study activities leaving us stressed and exhausted. We’re all trying to be the best parents we can be but it’s important to look after ourselves too. To help keep stress to a minimum, we’ve put together our year end survival tips for hard working families. We all want to make sure our kids are taking part in a varied and interesting range of activities but, overdoing these can be stressful for both the child and the parents who are responsible for travel and scheduling arrangements. Concentrate on the activities that your child is most passionate about and go for quality over quantity. 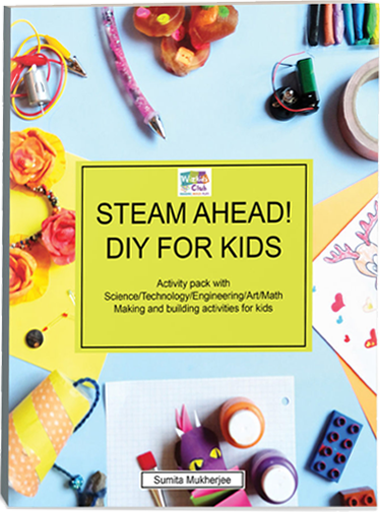 Follow our STEM Next-Gen Book to learn simple steps to reduce stress for kids. A couple of times a week schedule in some family time – even just an hour or two – to be spent doing nothing but relaxing and enjoying each other’s company without a purpose or particular activity to worry about. For homeschoolers, a lack of planning can lead to a lack of structure and flow. The STEM pack of 10 weeks of lesson plans helps to plan lessons in just ten minutes meaning you can plan for the first 10 weeks of the new school year in half a day, leaving the rest of your summer with simple steps to reduce stress for kids. Although your child will, of course, be looking forward to an amount of freedom during the holidays, it’s important to add in the occasional productive and educational activity which might just spark a new passion as well as giving your child a head start for the new school year. 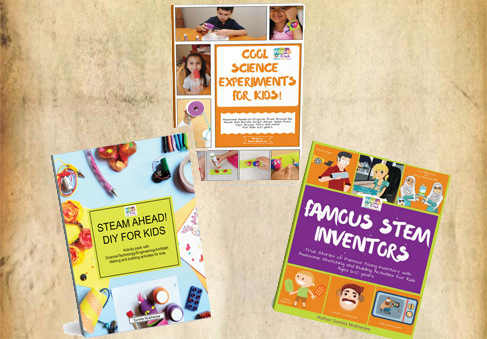 Fun and productive, the STEM range of books has something for everyone including DIY, toy making, engineering and arts and crafts. Follow our book STEM Next-Gen Program and teach kids the ultimate way to Learn, Build and Play. Order STEM Next-Gen Program today! Following these few tips can help you to shake off the stress of the school year, plan for the next and then get on with enjoying your summer – after all, you’ve earned it!